SKU: HMSTC1003. Category: Snooker Tables. 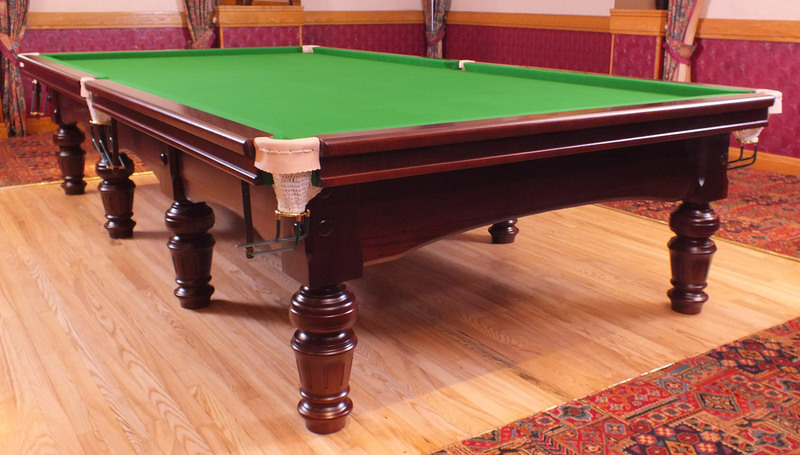 Every snooker table we make will stand apart from the crowd. From their beautifully handmade leg design to the hardwood frame work, these granite slate held tables are held to the rigorous standards that a WPBSA approved (World professional Billiards and snooker association) build would be. Each one comes complete with a tough cloth, designed for professional use and durable leather pockets lined with cotton. Different colours, finishes and types of wood available to cater to your needs- contact us with personal requests. Matt, gloss, metallic, and pearlescent finishes are also available!